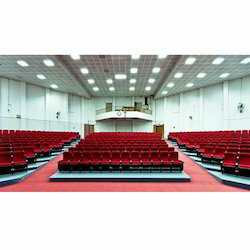 Leading Manufacturer of conference hall chairs from Bengaluru. We have a satisfied client base in domestic & international markets to which we are offering a wide array of Conference Hall Chairs. Our Public Seating Chairs are made using best quality raw material that is durable and long lasting. These Auditorium Public Seating Chairs are made on set industrial standards to meet the exact requirement of our esteemed clients. Apart from this, we are offering our clients at very affordable rates. Looking for Conference Hall Chairs ?